Now that we have arrived at an understanding of how Jesus favored women using modern biblical studies, I want to take you back to my early upbringing and allow you to witness what sort of Catholic upbringing I was receiving at the hands of Sister Mary Agnes in 1950s relative to Jesus as a priest. Then you will be ready to understand and appreciate how this interpretation of Jesus gets challenged and dismantled during and after Vatican II. When the priest says, “This is my body,” over the host (i.e., the small wafer of unleavened bread) at Mass, it is changed. It continues to have the appearance of bread, but, in reality, it has become the sacred body of Christ. Only a priest has this power to consecrate. Anyone else could recite these same words a hundred times over a host and nothing would happen. The priest has only to say it once. In fact, if a priest would go into a bakery and quietly say the words of institution over all the loaves on the shelf and really mean it, all at once, every one of those loaves would become the body of Christ. No priest, of course, would do such a thing. But the truth remains that he could, by virtue of the power conferred on him during his ordination, effect such a change if he really wanted to. I was training a furry orange caterpillar to walk along my pencil when this happened. Sister Mary Agnes got my attention real quick with her story. By the end, I was shivering with awe and delight. “What miraculous powers God has given Fr. McMonigle!” I thought to myself. After studying a lot of theology, I now know that there was a degree of exaggeration in this hypothetical case of the priest in the bakery; however, within it original setting, this kind of narrative served to emphasize the mythical grandeur that Catholics felt during the words of consecration recited by a Catholic priest at every Mass. It also served to form the foundation whereby a Catholic lad growing up in the 50s could easily grasp why the Protestant celebration of the Lord’s Supper had nothing to do with the “true Mass” that Jesus instituted during the Last Supper. In the 50s, the argument would have been that the “defective intention” and “defective rites” used by Protestants in their ordinations could not possibly have produced any “validly ordained priests” whatsoever. As a consequence, I, as an easily distracted Catholic lad, was being trained to regard what was going on in a Protestant Last Supper as merely “going through the motions.” Nothing really happened. Not even if they said the words of consecration a hundred times. Protestant sacraments were on the level of what Sean and I did when we reenacted “Fr. McMonigle’s Mass” for the local girls in our back yard. True Sacraments (save for the exceptional case of emergency baptism), Catholics wanted to insist, always required a validly ordained priest. Not one of the Twelve interrupted Jesus saying, “Oh, please, wait a moment, Jesus! You’re a priest! But I’m just an ordinary bloke (a layman). Don’t you have to ordain me before I can do ‘this’?” And, now, you bright lads and lasses, why do you suppose that none of the Apostles interrupted Jesus to ask this question? It’s because Jesus was no dummy! When he told them to “do this,” he knew full well that he had ordained them as “priests” and that they, and they alone, were being given the power to say Mass just like Jesus was showing them how to do it at his Last Supper. “Yes, yes, yes, Sean O’Connell,” shouts Sister Mary Agnes, “Flesh and blood have not revealed these things to you, but our heavenly Father.” And, with this, we all stamp our feet and cheer Sean for a full ten seconds for having so pleased Sister Mary Agnes! We were even hoping that this might be the occasion for extending the noon recess by ten minutes in his honor. . . .
Before getting started, you are again invited to record your initial perceptions to three questions. By recording your spontaneous judgments now, you will be providing yourself with a declaration of your preliminary understanding of the issues. After completing the lesson, you will then be able to reread your initial reflections and gauge to what degree you have been broadened or transformed by your inquiries. 3.1a Given your own faith tradition and personal experience of the Lord’s Supper, what sense do you make of “the mythical grandeur that Catholics [like myself] felt during the words of consecration recited by a Catholic priest at every Mass”? 3.1b Did the contemporaries of Jesus regard him as a “priest”? What evidence from the Gospel accounts can you offer as support for or against your claim? 3.1c Did Jesus intend that his twelve disciples should be “priests”? Did he, accordingly, at some moments deliberately ordain them as “priests”? What evidence from the Gospel accounts can you offer as support for your claim? Most argue that the exclusion of women from a public leadership role is an injustice and explicit sexism. Some view that Jesus’ choice of 12 men . 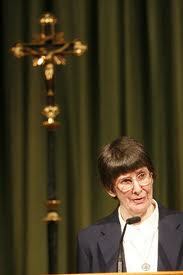 . . is just an ecclesiastical tradition to have men as priests,” Sister Sara said. However, [then] she explained that the priesthood is a sacrament and that all priests are to follow in the tradition of the apostles who were all men (www). 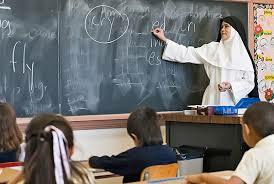 Sister Sara Butler has a doctorate in theology. 3.2a What do you make of the conversion of Sister Sara Butler? 3.2b What are the strengths and weaknesses of Sister Sara Butler’s understanding that (a) Jesus was Jewish and (b) every Jew knows that only “sons of Aaron” can be priests? 3.2c Is this an argument that the CDF overlooked in 1976? Or did the CDF deliberately avoid this line of reasoning? Explain. Q: I thought Jesus ordained men and so only men can be priests. How can women be ordained if this is so? A: Jesus didn’t actually ordain anyone. In fact, priesthood and eucharistic worship did not resemble what we know until the fourth century. Jesus came in the rich prophetic tradition of Israel to call Judaism to repentance and fidelity to the new reign of God being born through him (www). What!? How can this be? If Jesus didn’t “ordain anyone,” that would mean that there were no priests in the early centuries. And, furthermore, how can you get priests in “the fourth century” if there was no unbroken chair of episcopal ordinations going all the way back to Jesus? I can just see “poor Sister Mary Agnes turning over in her grave” as she reads of these Future Church people. And they claim to be practicing Catholics?! Robert J. Eagan, S.J., to the rescue? Early Christianity had no priests. It can even be said, on the basis of these New Testament texts, that early Christianity did not understand itself to be the kind of religion that has or needs a priesthood. It was only in the second century that bishops, in reference to their role (by then) as chief presiders at the communities’ Eucharistic liturgies, began to be likened to priests. Later, during the third century, presbyters too, as delegates of a bishop for presiding at liturgies, also began to be likened to priests (www). In spite of the historical slant of her starting point, Butler’s treatment of the central issues-of apostles, apostolic ministry, ordination, priesthood, sacraments, etc. seems strangely but insistently ahistorical. A reader could come away with the impression that “ordination” to a “priesthood” was already a sacrament in the first century. Talking about things in this way creates a false impression about the evidence. The Pontifical Biblical Commission to the rescue? A recap: With Catholics privately and publicly divided on the issue of women’s ordination in the 70s, it was inevitable that some bishops would press Rome for some sort of definitive solution lest official silence would leave open a false hope on the part of many. Thus, Pope Paul VI assigned the resolution of this issue to the Congregation for the Doctrine of the Faith (CDF) in 1975. The CDF, in its turn, asked the Pontifical Biblical Commission (PBC) to make a careful study of the Christian Scriptures relative to this issue. The Pontifical Biblical Commission (PBC) sent its final report to the CDF in June of 1976. The Commission’s report concluded that, on the basis of the Christian Scriptures alone, the issue cannot be decided “in a clear way and once and for all [time]” (96). How did the PBC come to this decision? This is so, the report declared, because “the New Testament never uses the technical term HIEREUS [“priest”] for the Christian ministry” (92). In brief, this would mean that neither Jesus nor his disciples made any decision regarding who would be ordained as “priests” because such a notion was entirely foreign to their way of thinking and only emerged later (in the second and third century). But, even beyond this, the PBC noted that “the role of leadership in the [early church] communities . . . was always held by men in conformity with Jewish custom” (95). The Pontifical Biblical Commission report, however, did not think that decisions made within the cultural conditions prevailing in first-century Judaism ought to predetermine what the church might decide would be right and proper within altered cultural circumstances. In sum, the PBC concluded (a) that the NT cannot be used to decide the issue of women’s ordination and (b) that the traditional practice of male leadership did not prejudice what the Church might decide by way of addressing its present situation. If you wish, you can read or skim the entire Report here. For the moment, I suggest that you don’t spend more than fifteen minutes reading. You’ll need your energy to finish this Case Study. 3.3a Does the logic of the PBC make sense to you? If so, describe the two points (1. and 2. above) in your own words. Even strengthen them if you can. 3.3b Are you perhaps hearing these arguments for the first time? If so, what is strange or difficult to understand about the two points as understood from within your own background? 3.3c In the end, are you in the position of entirely agreeing with the conclusions of the PBC (In sum. . . .)? If so, why so? If not, why not? Aftermath: You may be wondering whatever happened with the PBC report. The facts in this case are as follows: (a) The CDF silently shelved the PBC report and therefore thumbed its nose at the Catholic biblical scholars who created it; (b) The CDF made no attempt to consult the world-wide bishops and therefore (secretly) thumbed its nose at the bishops as well; (c) The CDF made no attempt to consult the faithful (Click for details) for obvious reasons. It was only because the PBC report was “leaked” to the Catholic press (the NCR) that the world was able even to discover and to read for themselves the report that was quietly shelved. Quite clearly the CDF disagreed with the PBC report and didn’t want anyone to know that any group as prestigeous as the PBC had taken a position directly opposed to their own. In brief, the CDF manipulated the process such that their report would be seen as the ONLY Vatican position. The CDF to the rescue? But now here is a final surprise. 1. The CDF declaration never falls into the trap of supposing that either Jesus or his disciples thought of themselves as “priests.” Rather, the declaration consistently affirms that, even though Jesus’ “attitude toward women was quite different from that of his milieu” (CDF: 6), he did not, nonetheless, entrust “the apostolic charge” (CDF: 7) to any women, not even to his own mother. 2. The CDF declaration is also entirely silent about whether Jesus did at any time ordain the twelve apostles. The surmise of most Catholic biblical scholars is that he did not. The CDF, due to its silence, would appear to accept this position. Note: Even if the CDF report wished only to sidestep the question as to whether Jesus ordained anyone, this, in itself, would cause Sister Mary Agnes to turn over in her grave yet another time since it blatantly passes over her “favorite” proof. In fairness to the CDF, however, one must notice that, had ordination been such a key event in the lives of the Apostles, one wonders why NO ONE appears to have remembered it, repeated it, or have told stories about it anywhere in the NT (for example, as when Matthias was brought forward as a replacement for Judas in Acts 1:15-26). 3. In like fashion, when considering the practice of the early church, the declaration correctly notes that the apostles had worked with certain women for the sake of the gospel; yet, “at no time was there a question of conferring ordination on these women” (CDF: 8). (3) a 12-5 vote that Christ’s plan would not be transgressed by permitting the ordination of women.So you can see why the CDF does not want us to know about the PBC report! 3.4a Now here is the rub. If the CDF tacitly approves what Future Church, Rev. Egan, and the PBC concluded–namely, that neither Jesus nor his disciples ever thought of themselves as “priests,”–then how can they conclude in the end that Jesus reserved “priesthood ordinations” entirely to men? 3.4b If the conduct of Jesus is to be the norm, as the CDF requires, then Rev. Eagan notes: “If evidence of ‘Jesus’ way of acting’ were to be consistently normative, its’ hard to see how we could justify having a priesthood at all.” (23) Yipes! Doesn’t this turn the CDF call for “following Jesus” in a totally new direction. If you understand it, put it entirely in your own words. If you object, do so now. 3.4c Finally, what do you make of the fact that the CDF deliberately suppressed all evidence that they had consulted the PBC and received a response that they didn’t agree with? Was this “ethical conduct” or was it “dishonest manipulation”? Explain. Know of any other instances wherein those in the Vatican deliberately suppressed information? Does this “build confidence” or “breed distrust”? Stepping back from this whole Case Study, the following short catechism has been prepared by way of exemplifying and extending the inquiries that you have made. Q1. According to the evidence of the Christian Scriptures, why are the Twelve not regarded as “priests”? Q2. According to the Christian Scriptures, under what circumstances is Jesus appropriately called “high priest”? A2. While all the inspired books of the Christian Scriptures, save one, are not even inclined to designate Jesus even as a “priest”, the Letter to the Hebrews constitutes a singular exception. Hebrews is a theological treatise which, in part, argues that God appointed Jesus as the eternal high priest who offers the perfect sacrifice in the heavenly sanctuary. In order to sustain this claim, Hebrews had to acknowledge (a) that on earth Jesus was not a priest at all and (b) that the sacrifice made by Jesus had nothing to do with the burnt offerings and sin‑offerings of the temple. To begin with, Hebrews presents God’s choice of Jesus (whom God has raised) as akin to God’s earlier unpredictable choice of Melchizedek, the “king of righteousness” (7:2). Furthermore, Hebrews promotes a critique of temple sacrifice in favor of advocating: “Lo, I have come to do your will, O God” (10:7, 9). According to the “new covenant” (9:15) described by Hebrews, Jesus’ heartfelt fidelity to God (10:7, 9, 16) is specified as the only acceptable sacrifice that serves to blot out sins. Furthermore, this fidelity is not an automatic given in the case of Jesus. It is something he came to after being tempted and made to suffer (2:18, 5:8, 12:4). Q3. According to the Christian Scriptures, is the Lord’s Supper considered to be a “sacrifice” that required a “priest” to officiate or celebrate? A3. Since neither Jesus nor his disciples were regarded as priests, it must follow that all the rites performed by Jesus and his disciples were done by them as lay persons. Even at the Last Supper, Jesus was understood by his disciples to be a layman celebrating the Jewish Passover with his disciples. The Jewish Passover never required that a priest preside; the head of each household traditionally presided. Q4. How does it come about that some or all members of the Christian community regard themselves as sharing in the priesthood of Jesus Christ? A4. Strictly speaking, not even Hebrews anticipated the notion that Christians somehow share in Christ’s priesthood. Since Jesus never dies in heaven, he has no need of a successor; and since his priestly functions are in heaven, no one on earth is able to assist him in any way. In sum, therefore, Hebrews works against such a notion. However, religious traditions do develop as they encounter new issues and new populations. Within the early second century, for instance, Christianity had made considerable headway among the Gentile urban populations wherein sacrifices to the gods were taken for granted as a routine part of public life. Christians, having conscientiously absented themselves from such sacrifices, were suspected of dishonoring the gods and promoting a form of atheism. In the face of such accusations, Justin Martyr, writing in Rome (c. 150 CE), sought to defend the reputation of Christians by arguing (a) that the true God has no need of animal sacrifices and (b) that the Eucharist (“a meal”) was considered as the perfect and pleasing “sacrifice” (of praise and thanksgiving) which Christians offered to their God. The emergence of “sacrifice” language surrounding the community Eucharist, consequently, seems to have been initially motivated by way of freeing Christians from the stigma of being “atheists” (i.e., those who offer no sacrifice to any god). Once the Eucharist was routinely regarded as the pleasing sacrifice offered to God by Christians, it was only a matter of time before the question arose as to who was to be regarded as “the priest” during this sacrifice. Some fathers of the church, such as Irenaeus (d. 200 CE) in the West and Origen (d. 254 CE) in the East proposed that the entire people of God were “priests.” During the Eucharist, all those present young and old, men and women, Jews and Gentiles, were understood as offering the new covenant sacrifice to God in union with Christ, their heavenly high priest. Due to a process of development stemming largely from the Letter to the Hebrews, consequently, the Christians of the third century arrived at the stage where they regarded themselves as “priests” and who offered themselves to God alongside Jesus who offered himself in the heavenly sanctuary. The Jewish Passover celebrated by Jesus as a layman was thereby transformed in the imaginations of Christians by this new language of “sacrifice” and “priesthood”–notions entirely absent from the Jewish Passover. Q5. Does the universal priesthood of all the faithful as well as the specialized priesthood of the ordained then have no biblical warrant in the teaching and practice of Jesus? A5. The universal priesthood of all the faithful as well as the specialized or ordained priesthood have no formal warrant within Jesus’ teaching and practice. However, under the guidance of the Holy Spirit, one must expect that local pastors and local churches did not merely repeat the past but went on to extend and revise what had been passed down so as to respond to new pastoral situations. In the case of priesthood, therefore, Hebrews already represents a kind of pastoral and theological innovation whereby the Jewish tradition of priesthood was modified and extended in favor of advocating the high priesthood of Jesus in heaven. The impulse which created and inspired Hebrews did not stop there; rather, subsequent generations applied its logic to yet unforeseen pastoral cases. Out of this ferment came both the universal priesthood of all the faithful as well as the specialized priesthood. In sum, therefore, the Christian Scriptures can be perceived as witnessing the emergence of a process of development, which, when taken to its limits, provides solid grounds for regarding all Christians as “priests” sharing in the one priesthood of Jesus Christ. The same thing, of course, can be said of the specialized or ordained “priests” whom Roman Catholics regard as sharing in the one priesthood of Jesus Christ. Q6. How did Christians during the Middle Ages entirely lose sight of their own dignity as “priests” with the result that they relied upon the ordained on earth and the Saints in heaven to be their mediators in offering their prayers to the Father? A6. During the early Middle Ages, a momentous shift in spirituality took place. Increasingly, Christians no longer felt worthy to offer themselves to the Father in union with Jesus, their heavenly high priest. Increasingly, for the same reasons, Christians no longer felt that they could address their prayers to the Father almighty, nor to his Son, who was crucified for their sins and continually reminded them of the final and terrible Last Judgment where their sins would be exposed and condemned. Accordingly, Christians began to regard the “holy priest” and their “patron saint” as go‑betweens or mediators. In practice, a Christian would bring a chicken or a coin and give it to a “holy priest” in order that he might “say a Mass for his/her intentions.” And, since most everyone wanted their petitions to be heard without cluttering God’s attention with the petitions of others, priests found themselves committed to saying multiple Masses every day of the week. Not even the petitioner had to be present as Mass for the “holy priest” was perceived as much more eloquent and powerful in drawing down God’s favor than a thousand prayers said by the unworthy petitioner. In a similar vein, medieval Christians began to direct their private prayers and pilgrimages to a “holy saint” who had the patience to listen to the prayers of sinners and then, in a good moment, to bring these prayers to the attention of the Lord. The Saints, too, therefore, were co‑opted into being “mediators.” Within such a world, Christians quickly forget that they had ever been entitled to offer themselves with Christ to the Father. Now, the only reality left was the ordained “priest” who mysteriously repeated “the sacrifice of Christ on the cross in an unbloody manner” during every Mass. Q7. Can Catholics today reclaim their dignity as priests who offer themselves to the Father in union with Jesus during every Eucharist? A7. Decidedly. To effect this, both the liturgy itself and the documents of Vatican II render an invaluable assistance. The baptized, by regeneration and the anointing of the Holy Spirit, are consecrated to be a spiritual house and a holy priesthood, [in order] that through all the works of Christian men [and women] they may offer spiritual sacrifices. . . . Therefore all the disciples of Christ, persevering in prayer and praising God (cf. Acts 2:42‑47), should present themselves as a sacrifice, living, holy and pleasing to God (Lumen Gentium 10). The faithful indeed, by virtue of their royal priesthood, participate in the offering of the Eucharist. They exercise that priesthood, too, by the reception of the [other] sacraments, prayer and thanksgiving, the witness of a holy life, abnegation and active charity. . . . Taking part in the eucharistic sacrifice, they [the faithful] offer the divine victim to God and themselves along with it (Lumen Gentium 10). These words cannot be adequately understood solely within medieval categories. Only someone immersed within Patristic thought stemming out of Hebrews could frame things in this manner. Hence, as prudent pastors, the bishops of Vatican II presented Catholics with a taste for the old, the older, and the oldest orientation to sacrifice found within their 2,000‑year‑old tradition. In sum, Catholics are not only permitted to recover the theology and the practice associated with the priesthood of the baptized; rather, they are positively urged to do so, both by their current liturgy and by their current pastors. 3.5a Review your initial hunches in 3.1. Describe how your mind has changed in the course of this lesson? What importance does this change have for you personally? What importance might this have for your community of faith (if you have one)? 3.5b Now here’s Rev. Eagan’s clincher: “Unbroken continuity [with Jesus] might mean fidelity to God’s grace; or it might mean stubborn persistence in our refusal of grace. By itself it doesn’t prove anything.” (26) Whoa?! Can you swallow this? If so, give an instance where discontinuity with Jesus is a sign of fidelity to God’s grace? 3.5c At this point, one might have to admit that the issue undertaken in this lesson turned out to be quite complex. This being the case, perhaps you may still have some pressing/distressing unanswered question to ask of your learning circle. If so, ask them here. If you have no questions, then try to respond to those who do. Take a five-minute break. Make some tea, do some stretches, water the plants. 1. 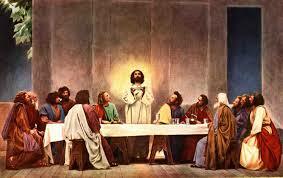 Jesus celebrated the Last Supper without any defined or implied priestly identity. This is the surprising point of departure that both the PBC and CDF reports examined in Lesson One acknowledge. Nothing within his Jewish tradition necessitated that a priest would or should “preside” over a Passover meal. The theological reconstruction whereby Jesus was regarded as instituting the Holy Sacrifice of the Mass which could be presided over only by “a validly ordained priest who alone has the power to perform such an act” emerges legitimately from a medieval horizon of understanding and fails to represent the perspective of the early church. In sum, no one in the first century was thinking that every Eucharist had to be presided over by a validly ordained priest. 2. The Gospels and the Acts of the Apostles are silent about any new order of Christian “priesthood” precisely because “priesthood” had nothing to do with Jesus of with the early rites of the church. The disciples whom Jesus trained were commissioned to preach, to teach, to heal, to baptize, and “to do this in memory of me” (Luke 22:19). No ordination was given or implied. “To presuppose that the twelve, the apostles, the episkopoi [“bishops”] or even others had to be ordained is a dogmatic presupposition, which neither historical data nor scriptural data support” (Osborne 1993:26). Even the author of the Letter to the Hebrew ( C.E. 90-120) takes as his starting point that “if he [Jesus] were on earth, he would not be a priest at all” (Heb 8:4) before going on to argue that Christ was appointed priest by God to atone for sins only when he was in the heavenly sanctuary (Heb 9:23f). 3. The Acts of the Apostles speak of baptisms, of ordinations, and of the “breaking of bread” (which most scholars understand as designating “Eucharist”). None of these rites, however, is explicitly or implicitly tied to any notion of priesthood nor is there any suggestion that only the Twelve or those ordained by them could preside at these rites. The New Testament knows of no class of persons by any title for whom “presidency” at the Eucharist is assigned or reserved. During the early second century, this situation will change insofar as liturgical functions will be increasingly reserved to the bishops or those appointed by them, but this later situation should not be read back into the first-century churches.